Three people with French citizenship were arrested in Belgium on Saturday in connection with shootings and explosions that killed scores of people in a theater, at cafes and near a soccer stadium in Paris on Friday night. As Parisians mourned following the deadly series of attacks targeting the cultural heart of the city, during which several assailants detonated explosive vests outside of a French-German friendly soccer match and others fired directly into the crowd at a rock concert, the search for terrorists who coordinated or aided the effort expanded beyond France’s borders. The Paris police prefect, Michel Cadot, announced early Saturday morning that all of the assailants who carried out the attacks were believed to be dead, having either committed suicide or been killed by police. Investigators therefore turned their attention to tracking down accomplices, including any who may have fled to nearby nations. 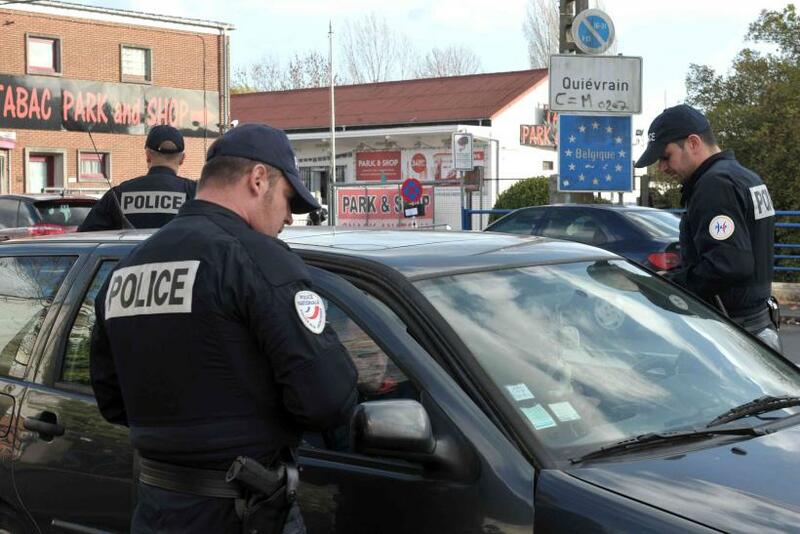 Security was heightened at each of France's six borders. Paris public prosecutor Francois Molins told the Guardian that the three people arrested in Belgium were traced to a rental car that was registered in that country, but had been seen by several people in Paris on Friday near where the attacks occurred. Another Belgian official said police conducted raids Saturday in the St. Jans Molenbeek neighborhood of Brussels in relation to Friday night's events, CBS News reported. Molins also told the newspaper the suspects had been living in Belgium prior to their arrest. Molins separately confirmed that two passports were recovered near the bodies of two terrorists who died Friday -- one from Syria and one from Egypt, though he has not yet confirmed whether the passports belonged to those terrorists. French officials have released a provisional death toll from the attacks, saying 129 people died and another 352 were injured. Ninety-nine people remained in critical condition, as authorities continued Saturday to search the facilities where the attacks occurred. In a reflection of Paris’ cosmopolitan citizenry, the known victims have come from Sweden, Belgium, the United States, Britain and Italy in addition to France. The Islamic State group claimed responsibility for the attacks Saturday, and said eight assailants were involved. Friday’s onslaught was the third terror attack suffered by the city this year.